It can sometimes be challenging to categorize the best bands from any country in any language. Musicians from around the world all share one thing, beauty in their craft. Italian alternative rock is no different, many groups have been able to produce unique sounds that are hard to define. It would be impossible to cover all of the bands that have made a noteworthy contribution to music. That is why we have explored dozens to hundreds of bands from Italy that were involved in the industry during the last thirty years. These musicians shook the United Kingdom & the USA in their explosive sound. 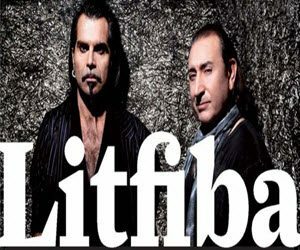 Litfiba is a band from the 1980’s that focused on New Wave & Punk, their sound was heavily inspired by England & it’s underground music nightlife. Mainly singing in Italian they were able to develop their own individual sound that was a combination of both Rock, New Wave & Punk. It resulted in a sound that took over the Mediterranean in a short period of time. They became an incredibly popular band in Italy that enjoyed incredible success for many years. In the past thirty years much has changed for this band. Originally their lead singer left the band to try his luck as a solo career which became successful. Eventually, he re-joined the band as his solo career started to die down. Still to this day their popular songs like El Diablo are played on the airwaves. Negrita hails from a village in Arezzo called Capolona, it’s in the stunning region of Tuscany. They began their careers in 1991 & took their name from the Rolling Stones song “Hey, Negrita”. Throughout their career as a band many influences from the rolling stones were prevalent in their sound & how they performed at venues. Eventually, they combined grunge, reggae, rock n’ roll, Latin & country altogether in one to make some of the most unique sounds that have ever come from Italy. Spain & South Africa also adopted this music into their mainstream radio broadcasts. The Zen Circus, founded back in 1994 in Pisa, Italy was originally called “The Zen” up until the year 2000. That was the year when they moved to the forefront of the Italy Rock n’ Roll Scene. Every month they exhausted themselves by doing live performances, one after another. They released several albums between 2000 & 2008. During 2008 they released “Hell House” which was produced by an array of well-known musical producers. This took them to a new level of popularity that has allowed for them to remain as a core band in the Italy Rock n’ Roll scene for twenty-two years. They are one of the longest remaining bands in the history of Italy. These three bands have helped define Italy as a country that just doesn’t belt out romantic melodies but can also belt out hard rock n’ roll guitar solo’s, songs and musicians that can define an entire generation. 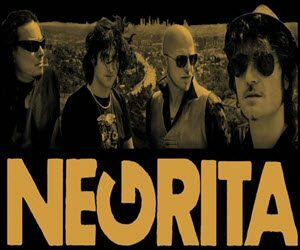 The Zen Circus, Negrita & Litfiba are just three of the dozens of bands that have crafted the rock n’ roll industry in Italy.